Adelaide's buses have been privatised and are running to a varying range of colour schemes. These buses are regular sized buses. 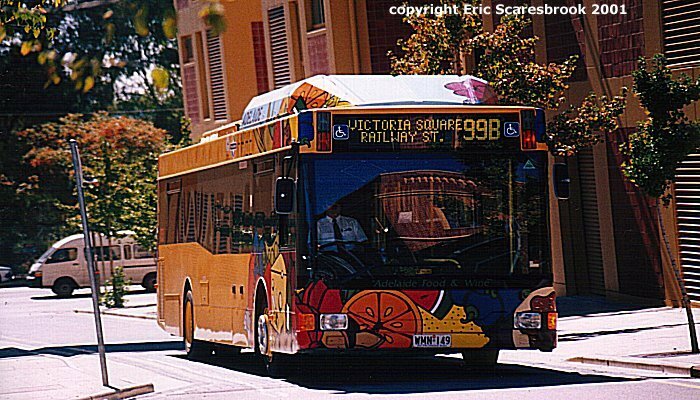 Adelaide also has articulated buses and regular sized buses. 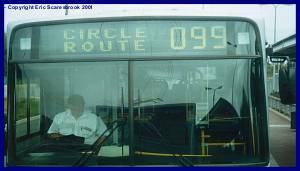 These buses on this page runs on 2 routes around the city, 99B (Bee Line) and 99C (City Loop). 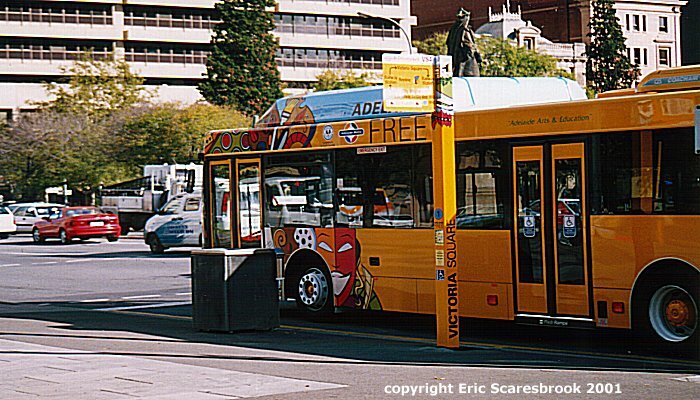 The Bee Line (99B) service is a free service around Adelaide. 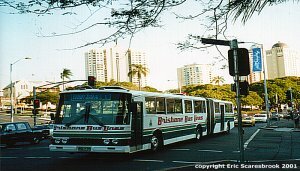 This shot near sunset shows the colourful front of these buses, 5 April 2001. 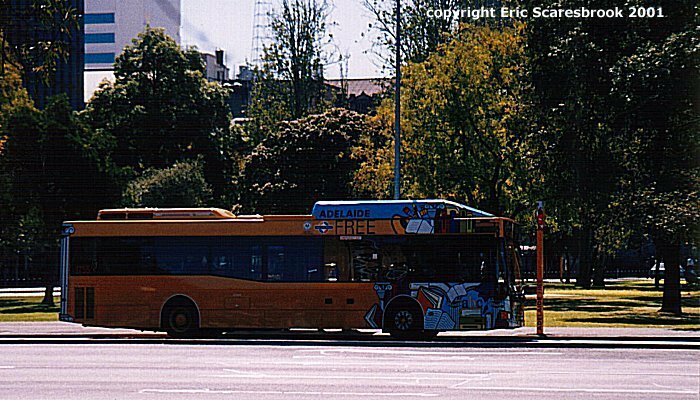 A Beeline/City Loop bus not in service with "Special" indicator at Victoria Square, 5 April 2001. 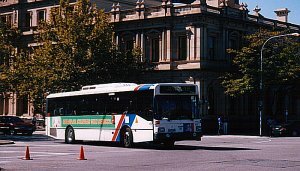 A City Loop service at Victoria Square, 5 April 2001. 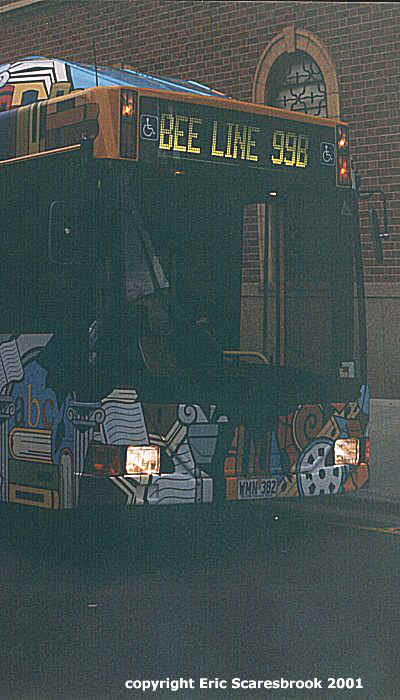 Bee Line bus near the University of South Australia, 5 April 2001. 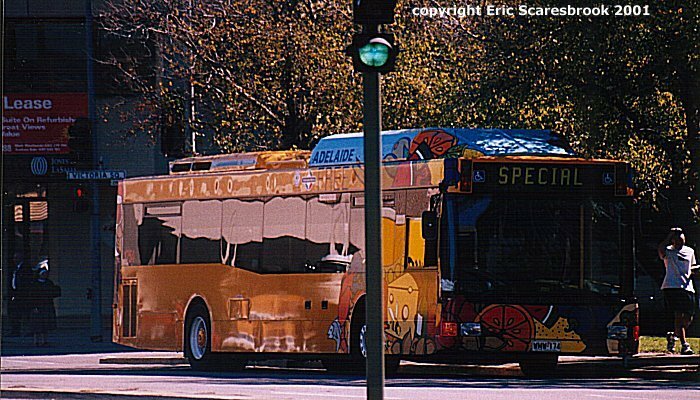 Bee Line bus at Victoria Square, 9 April 2001. 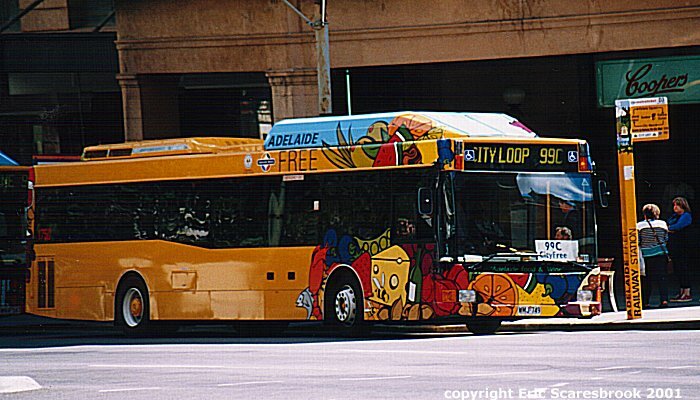 City Loop bus at Adelaide station, 9 April 2001.